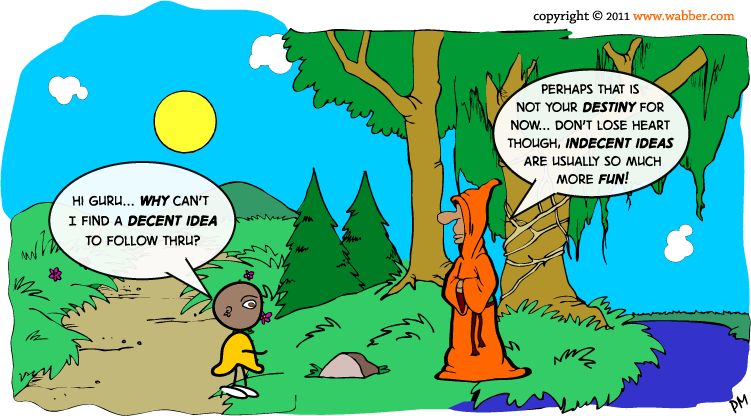 SP from the mountain kingdom of Lesotho asks the Guru why she cannot find a decent idea to follow through on. The Guru replies introducing the all important concept of timing. Sometimes no matter how hard one tries, if the timing isn’t quite right, nothing works out. The question is always how can you make the most out of the situation you’re in? Perhaps, for now, a less decent idea may be more appropriate for you to follow through on – it may well be more decent than you expect. If you’re looking for a different sort of idea to follow through on, perhaps now would be a good time to buy lottery tickets online – the Euromillions jackpot this week is sitting at over 100 Million Euro. As with all things, ease of follow-through largely determines whether you will do it or not… now how simple is buying a lottery ticket? On a more serious note, if you’re battling to find your right idea or sustaining your motivation to pursue your goals, you may want to consider personal strategy coaching to help you get on track.